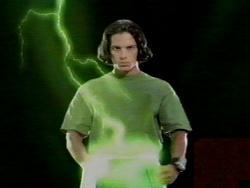 Carlos was chosen by Adam Park to take on the powers of the Green Turbo Ranger and join the new generation of Power Rangers Turbo. Carlos is an outstanding soccer player whose skills make him alone a match for an entire team. These outstanding skills led to his promotion as team captain for the Angel Grove High School's soccer team. Carlos is an easy going teenager who has a bit of a problem working in a team rather than individually. However under Adam's tutelage he was able to learn the importance of team work. 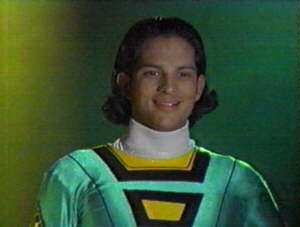 When Divatox destroyed the Power Chamber and the Turbo powers, Carlos along with his fellow Rangers blasted off for outer space in a N.A.S.A.D.A. 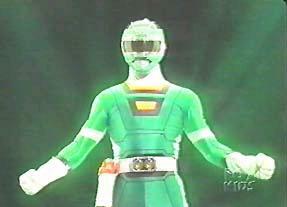 Space Shuttle to try and rescue Zordon. 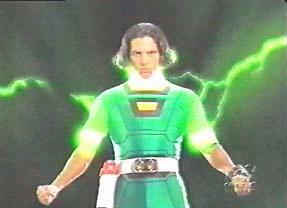 Along the way they encountered Andros who granted Carlos new powers making him the Black Lightstar Ranger. 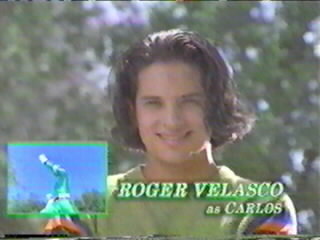 As the Green Turbo Ranger, Carlos controlled the Desert Thunder Turbo Zord and the Thunder Loader Rescue Zord.